Saivaite temples do elephant vahana on the sixth day of festival. 9th day: Chakra snanam/lord’s disc is immersed in the tank and flag is lowered. 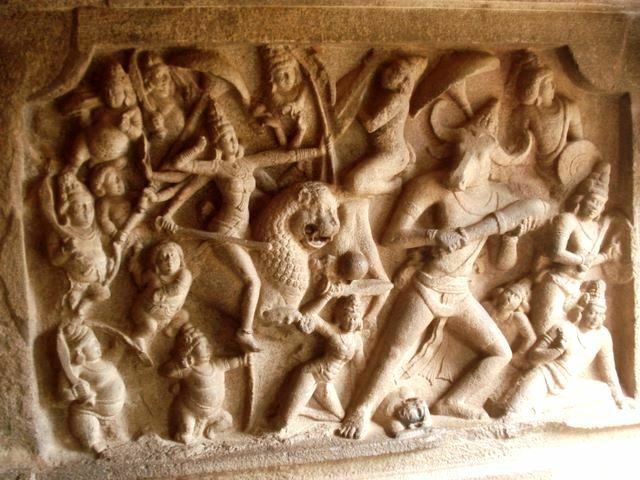 This is typical of North Tamil Nadu and Andhra temples. Surya and Chandra Prabha vahanas are absent in Southern Tamil Nadu. They replace it with other Vahanas. 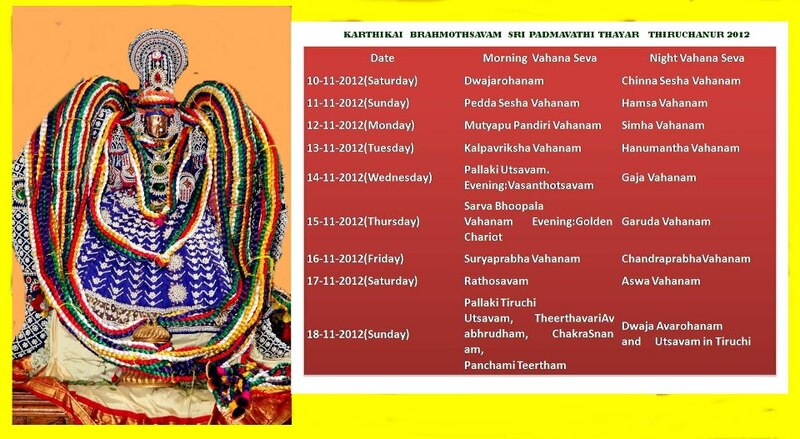 But 8th day is allocated for Kuthirai/Aswa/Horse vahana. 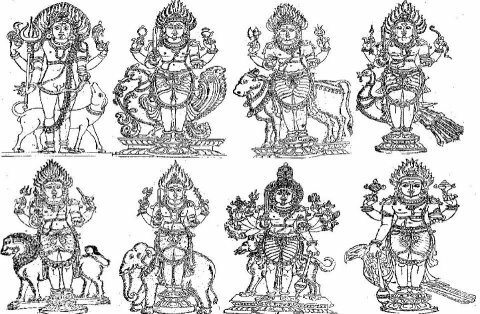 Amarasimhan’s Amarakosha (First Dictionary of Synonyms in the World) gives Vahana names as other names for Gods. 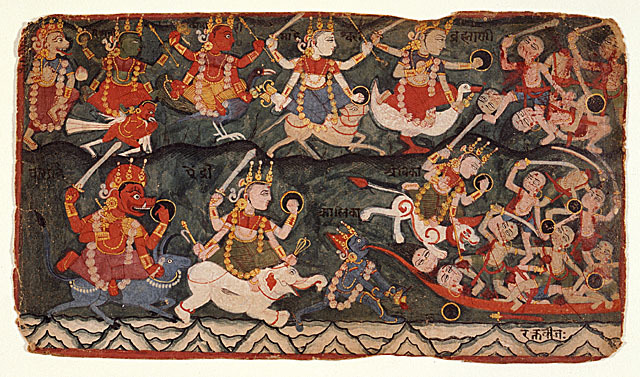 This shows people were very familiar with all Vahanas and flags 2000 years ago. Some temples have lotus (India’s national flower) as vahana for goddess Devi. Tulsi (Holy Basil plant) also used as a Vahana. Alwartirunagari near Tirunelveli in Tamil Nadu, has a strange vahana –Tamarind Tree (Imli in Hindi). This is used for one of the twelve Alvars known as Nammalvar. He attained wisdom under a tamarind tree. Another unusual vahana associated with this town is Parangi Narkali (Foreign Chair).The origin of this vahana is shrouded in mystery. Chandi Devi in Sujanaghat has got varaha (pig) as vahana which is unusual. 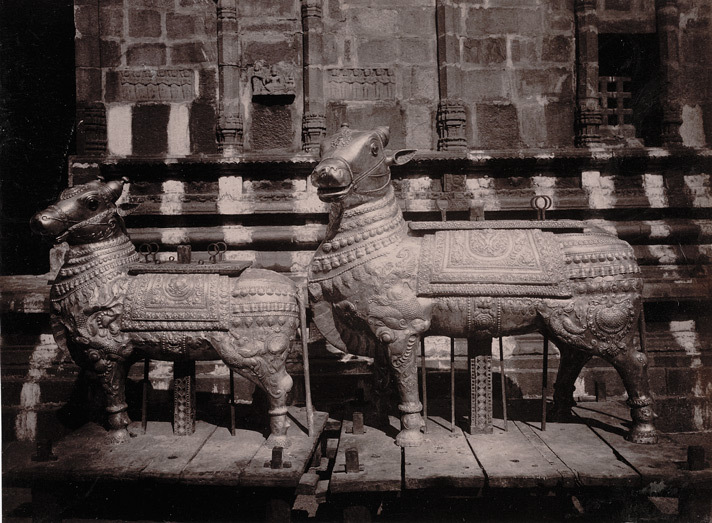 Pancha muka Heramba ganapathy-Simha vahana,Nagai Neelayathakshi; Mayura vahana ganapathy:Tiruanaikka,Aruppukottai,Puduvai Mankkula Vinayakar temple paintings; Horse vahana vinayakar-Chennapanayakkan palayam,Koyamputhur; Rishaba vahana ganapathy-Nellai Kanthimathi, Sucheendrum Temples; Elephant vahana Ganapathy-Tiruchendur, Sriviliputtur temples. 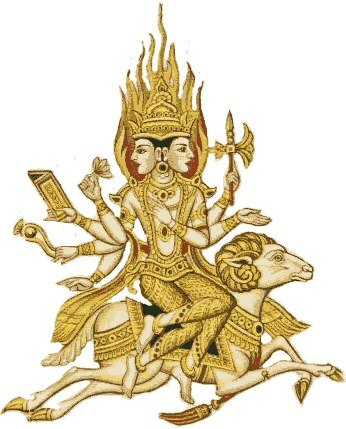 Pinna Kili, Gaja Lakshmi,Tulasi Brunda-Karur temple; Sarabha vahana-Tiruchendur Ambal; Kubera vahana-Kumbheswarar temple, Idumba vahana-Swamimalai Murugan; Kalaiman kida/antelope-Valliyur Murugan; Adhikara Nandhi_-Arunachaleswar temple. In the next part we will look at the Vahanas on ancient Indian coins.